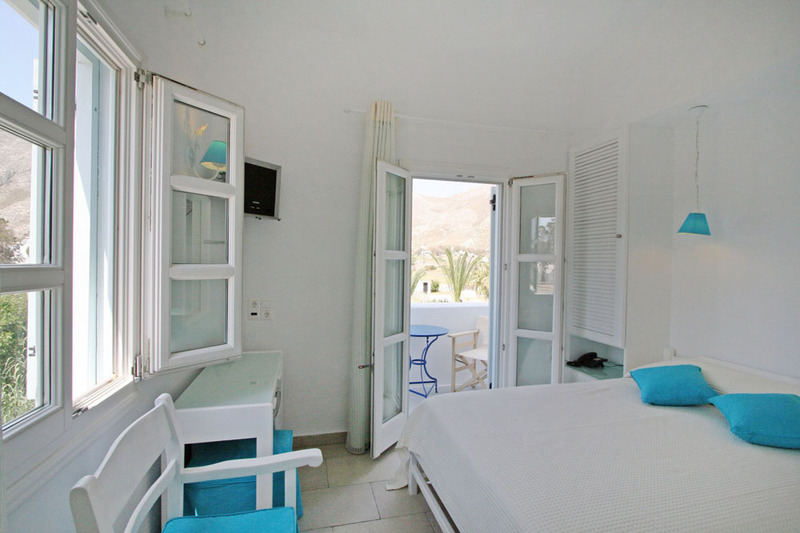 This charming small hotel, situated on the main strip of Perissa, is a short stroll to the black sandy stretch of beach. 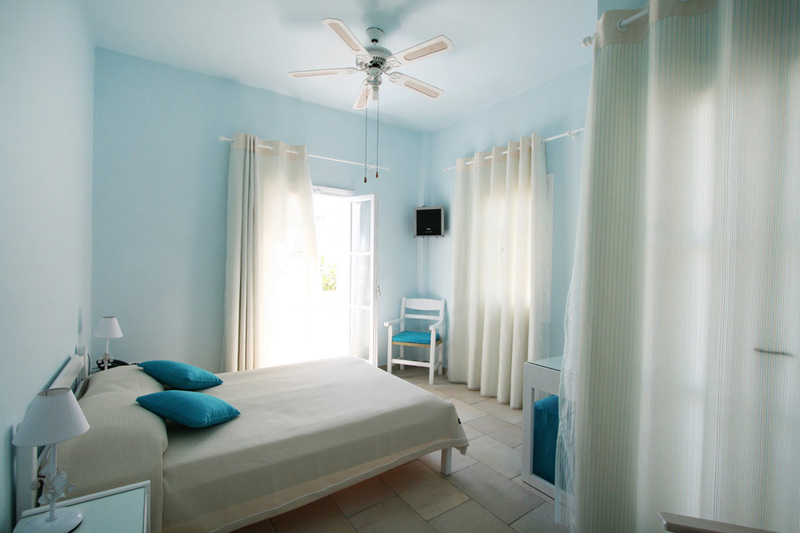 Furnished in the traditional island style, we offer comfortable rooms with balconies that overlook the attractive pool area and idyllic surroundings. 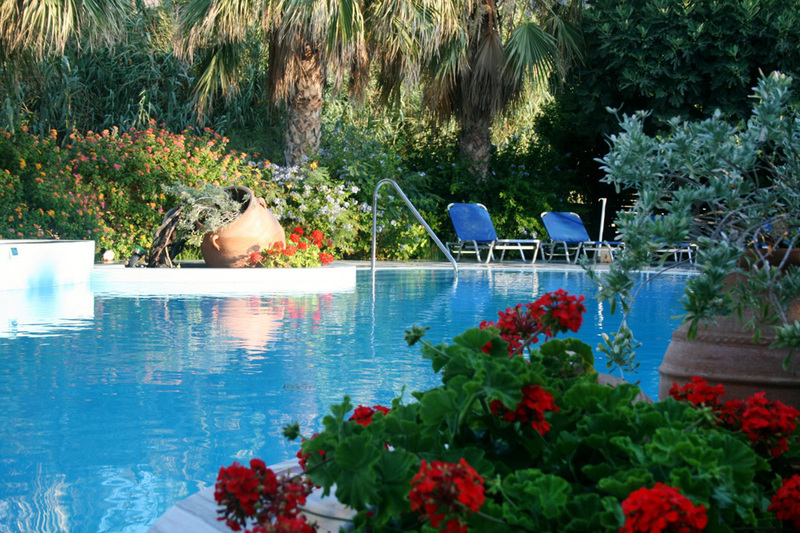 Relax by the pool with the breathtaking backdrop of the magnificent mountain. 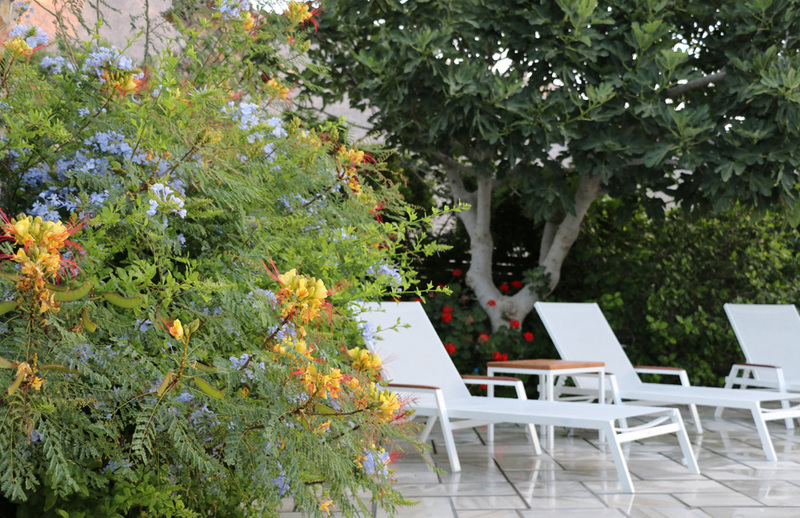 Breathe in the scents of the exotic jewel-coloured flowers and the pomegranate trees that border the hotel. 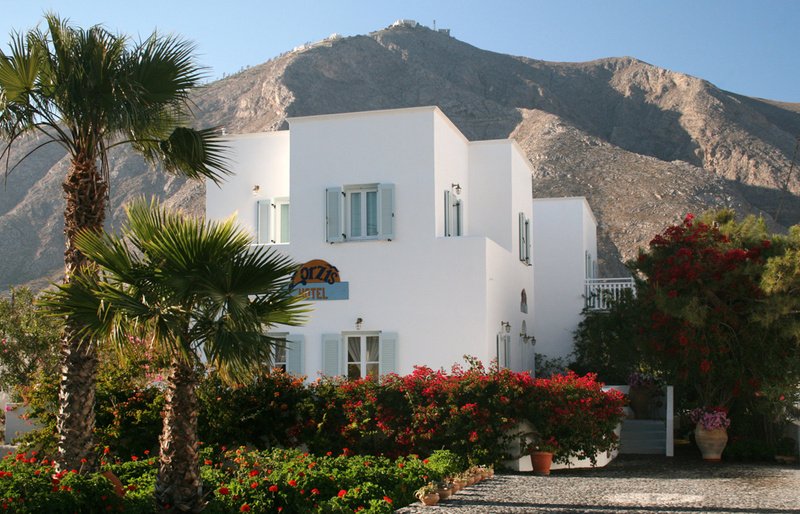 Centrally located, simply walking out of the front door puts you among the bars, restaurants and shops. Your host, Greek sea captain Spiros, is on hand to answer any questions you may have and is remembered by many guests for his attentive and warm hospitality.